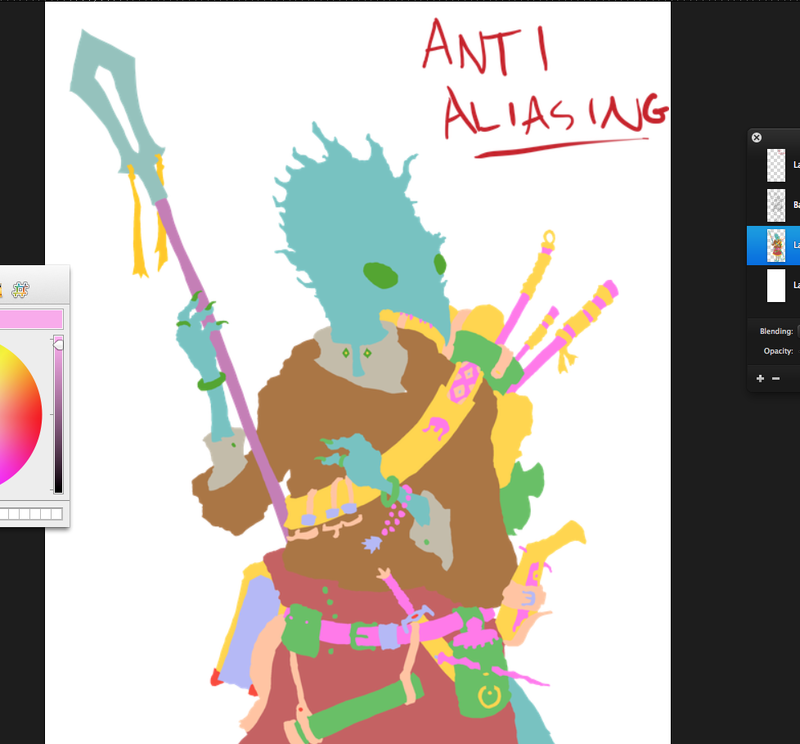 Spent a large portion of today blocking out colours on this creature I’ve drawn. This means that I can lay down flat colours relatively quickly without having to spend time thinking about what colours I want to use until I get to the end (the garish selection above doesn’t represent what it’ll look like when it’s finished!). All the colours are on one layer so the program I’m using runs more smoothly. Anti-Aliasing refers to the setting I have to remember to adjust when I’m working. This entry was posted in Digital, Fisful of Pencils Battle Royale, Work In Progress and tagged D&D, Dungeons & Dragons, Dungeons and Dragons, Fantasy, magick, Pathfinder, Pixelmator, WIP. Bookmark the permalink.